Here at Thrift-Way, our goal is to provide you with the highest quality, and most honest collision repair work around. To ensure this, all cars are painted in our Accudraft heated spray booth, which actually bakes the paint onto the vehicle and leaves an outstanding finish. We also have two chassis straightening machines, to ensure your car will drive straight, despite how hard the car was hit in the first place. 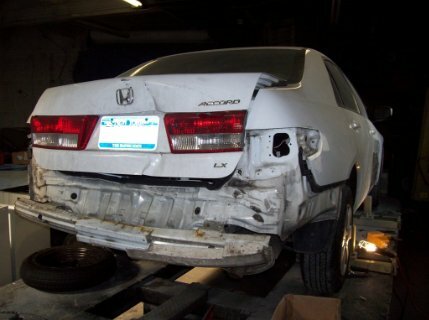 Most of the time, cars leave our shop looking better than they did before the accident; just ask our customers! In recent times, people have become easily swayed by what their insurance company may tell them. Loyal customers have reported to us that their insurance companies have told them that they MUST take their car to the insurance companies' direct repair center. This could not be further from the truth. Despite what your insurance company may tell you, it is YOUR LEGAL RIGHT to have your vehicle repaired at the shop of YOUR CHOICE. No insurance company can tell you where to bring YOUR car, as it is YOUR car, not theirs. The insurance company does just that, they insure your vehicle; they do NOT own it or have any say towards where it can or can't be repaired. Insurance companies try to push their own direct repair shops, because it is in better interest for THEM, not you. These shops try to fix these cars as quickly, and as cost effective for themselves as possible. This means that cutting corners on the repair, gluing broken parts back together, and cheap imitation parts are NOT out of the equation and are usually used! Another thing people fail to realize, is if you bring your car to the insurance companies' shop, you MUST pay your deductible in full..No exceptions! When dealing with an honest, independent shop like Thrift-Way, we can work with you on your deductible, ensuring a fair deal for both the customer and ourselves. Make the right choice. Please help stop the HMO of autos. Here is a before and after photo of a car we recently repaired. This photo shows the car crashed and being repaired on one of our chassis straightening machines, the next photo shows the completed job. This next car shows basically all of our skills in one package. 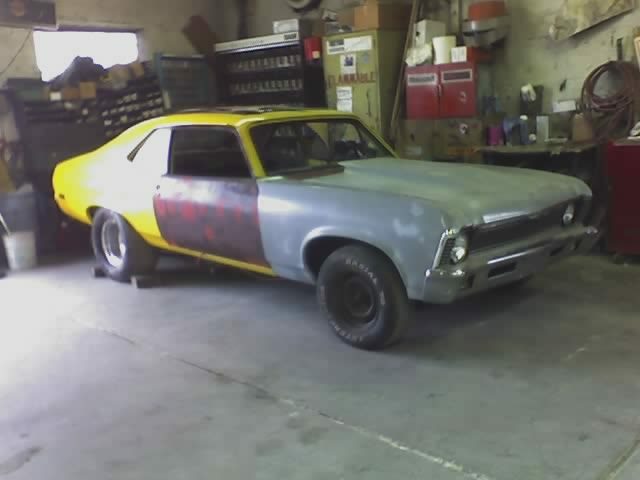 We did it all; built a chassis, full roll cage, full body and paint, assembled, wired, and plumbed the entire car. 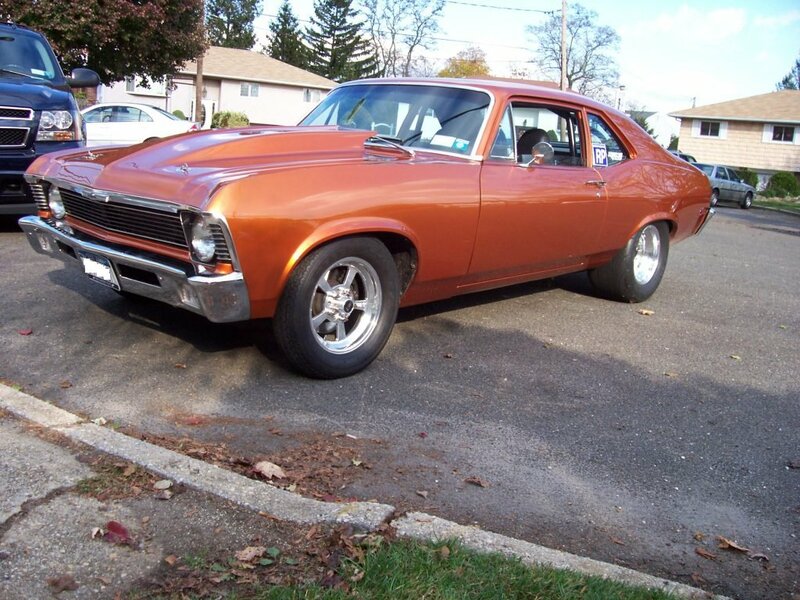 Here is our own 1971 Nova that we built. First is a before picture, then after. 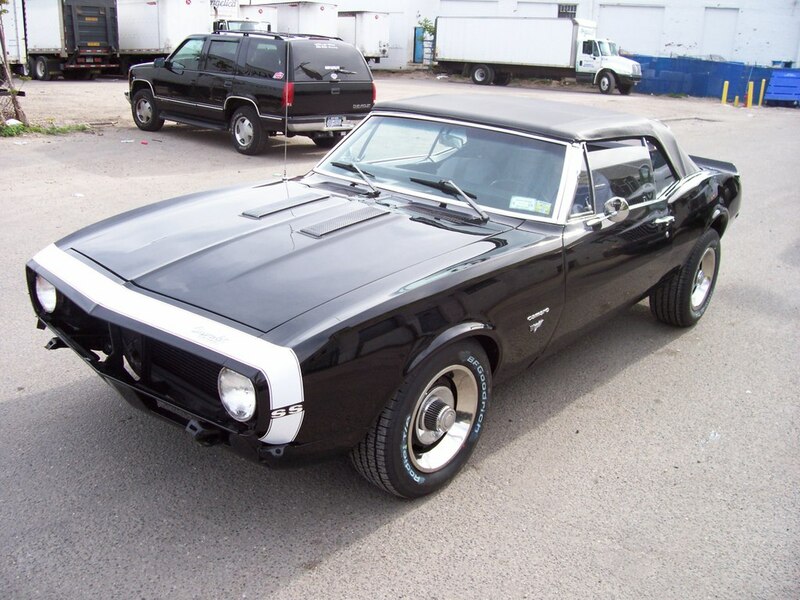 Here is a few pictures of a '67 Camaro we restored recently. 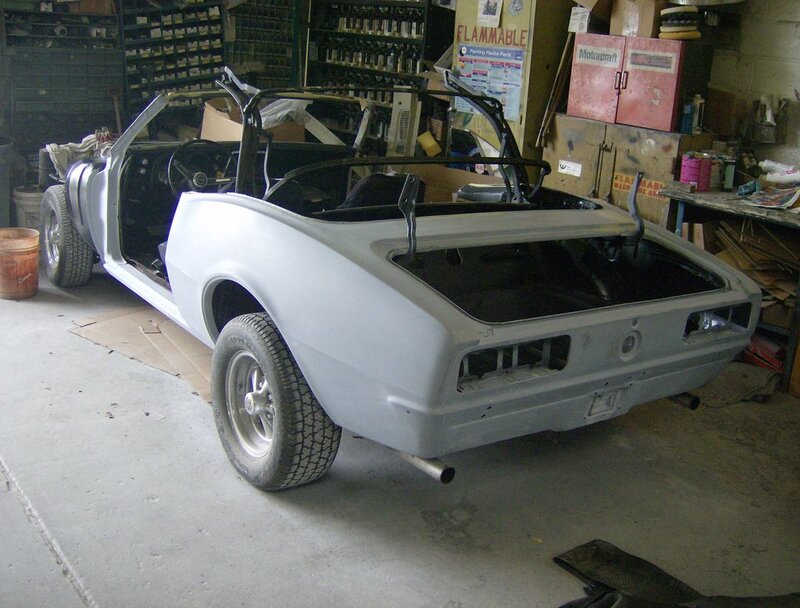 This car is an original 327/powerglide car and it received full quarters, tail panel, trunk pan, door skins, fenders, hood, front valance, and a new convertible top.